We can deliver your required filter sand to your site in Collingwood and ensure that you have enough for successful installation. Having high-quality filter sand is a must when you are planning the construction of a water feature or treatment facility that uses water. 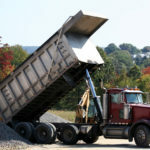 At Flesherton Concrete Products, we not only carry aggregate materials for a variety of project types, but we can also provide filter sand for any construction or landscaping project that requires this material. Ideal for small and large-scale projects alike, our filter sand is the ideal addition for pools, ponds, lakes, water treatment facilities and other industrial applications. We can deliver your required products to your site and ensure that you have enough to successfully install your water feature for the best results. In addition to filter sand, you will also find the required stone and gravel to complete any necessary construction or landscaping work, as well as the concrete products necessary for permanent installments. At Flesherton Concrete Products, we offer comprehensive services for residential, commercial and industrial customers who require quality aggregates from trustworthy sources. You can always depend on us to supply the products you need for a variety of projects, and we will work with you to ensure you get the right amount at a fair price. Contact us today if you require filter sand for an upcoming project or you are interested in having multiple aggregate types delivered to your site in the Collingwood, Ontario area. We have over three decades of experience as your first resource for aggregates and concrete products. You’ll receive expert care and service with integrity any time you give us a call. At Flesherton Concrete Products, we offer filter sand to customers in Collingwood, Wasaga Beach, Flesherton, Orangeville, Owen Sound, Barrie, Stayner, Mulmur, Shelburne, and Mount Forest, Ontario.